* Oud Ispahan starts off quite delicate with a lightly smoky, woody amber. * Don’t let the top notes fool you, this is a bumpy ride up ahead. * The light opening intensifies and gets really strong and feral as the patchouli and musk amp up to something brash and animalic. * This challenging portion of the fragrance is a quite aggressive oud making its presence known. * The oud calms down in the base, a little bit, with rose and and a creamy sandalwood softening things. Summary: If there are supposedly male scents and female scents, I would classify Oud Ispahan as a transexual scent. It starts off pretty, subtle, and almost feminine, and once the veil is lifted – it’s dirty, filthy, and brash. However, it calms down again to something quite pretty. This is the kind of experience I appreciate from a niche or expensive fragrance – when it is unexpected, somewhat raw- yet really well-blended. Yes, the oud is aggressive and animalic – but it’s in a flow where it makes its presence known and then is calmed down into a supporting player. Clearly this is not an office-friendly fragrance. I wondered why Christian Dior would do a second oud fragrance in their exclusives line, and now I can totally see why. Oud Ispahan is a completely different scent to their Leather Oud (which is quite linear the whole way- though quite exceptional). Ispahan is a journey that might be disconcerting to some, but it’s definitely an experience. If strong scents aren’t your thing, don’t even bother. If you aren’t afraid of taking a risk, give this one a shot. 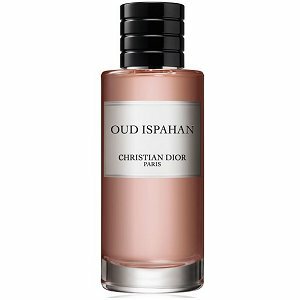 Oud Ispahan is available from Christian Dior Boutiques. For the United States, they are only available in the Las Vegas boutique. Disclaimer: Sample provided by boutique. Picture courtesy of Christian Dior website. I like the scent, its very sophisticated with a light smokey and mint fragrance. It’s just what I want. Perfect for me!